Scarlet Witch has appeared in three Marvel movies, and is getting ready for the biggest fight of everyone’s lives in Avengers: Infinity War. But if you think all that time spent in costume means Elisabeth Olsen is angling for a solo Maximoff adventure, well, we have some news for you. 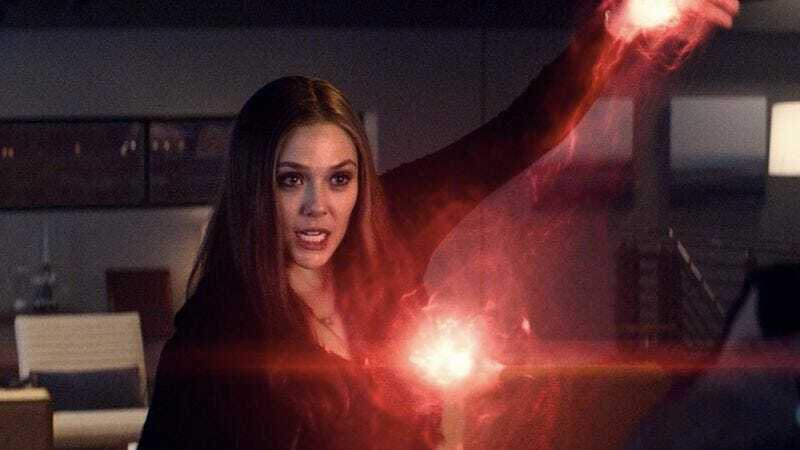 The Avengers: Age Of Ultron star tells Everything Iconic podcast host Danny Pellegrino that she and Marvel are content with the role Scarlet Witch has played so far, and see no reason to switch things up. Olsen showed some interest in a standalone film for Wanda back in 2016, but, as she told The Huffington Post, she “wouldn’t just do it just to do it. It’d have to make sense for how it advances in the world.” Two years and a Vision love-connection later, Olsen says the movie is “at ground zero. It’s definitely not something I’m pushing, and I don’t know if it’s something that [Marvel is] going to push either.” Maybe the Ingrid Goes West actress is just trying not to distract from the upcoming Captain Marvel movie—the first female-led MCU entry—or the long-simmering solo outing for Black Widow.